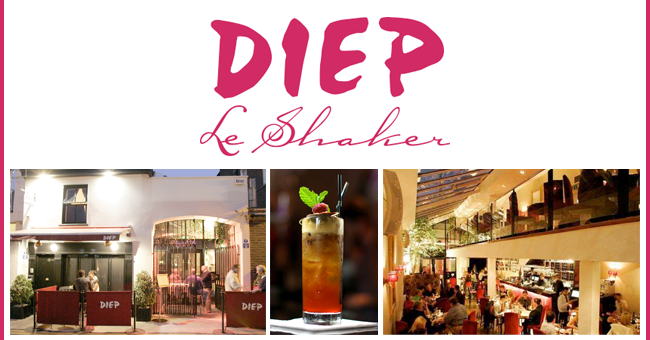 We are delighted to team up with the hugely popular Asian Restaurant, Diep Le Shaker in Dublin 2, to offer you a Taste of Fine Thai Dining – enjoy a 2 course dinner with a glass of wine for 2 people for €45. You can choose from there A La Carte menu and select either a glass of wine. Since they opened their doors the restaurant has been a highly publicised dining experience known for outstanding Thai cuisine, exquisite cocktails, friendly and efficient service and its party atmosphere. The restaurant is neatly tucked away on Pembroke Lane in Dublin 2 behind Baggot Streets thriving nightlife. There is live music Thursday to Saturday ranging from bossa nova to pop and blues to jazz. Highly skilled Thai chefs create the dishes using a delicate balance of herbs and layering of flavours that excites the palette. Diep have a strong reputation for Thai cuisine combined with the exuberance of our staff that has retained our regular clientele and gained new customers consistently. – The vouchers are valid from Monday to Friday from now until 31st July 2015. – Any over spend on wines or items not included must be settled before departing the restaurant. – Only one voucher per two people, you can buy multiple vouchers and buy as a gift. – TheTaste.ie Voucher must be quoted when making the reservation. – Please note the 1/4 Duck Starter is to share.